As business enterprises expand their horizons, it becomes increasingly important to provide the workforce with access to information, and that too on a real-time basis. In the past few years, enterprises have been using question answering systems such as Siri in order to enhance workplace search facilities as well as collaborations among employees. Now, in the recent times, Cortana and Google Assistant are starting to gain adoption. These insight engines are perfect for emerging technologies such as chatbots and natural language processing (NLP), which is an integral component of artificial intelligence. With an ability to gauge the meaning of human speech in different tones and accents, NLP has proven its work as an insight engine and new assistants such as Google Home, Siri by Apple, and Alexa by Amazon are mushrooming. Currently, the demand for insights engines exceeds the supply, which is a reflection of strong need for semi-structured and unstructured content within organization such as email interactions, queries, videos, social media, customer review and care, and support requests. The algorithms in insights engines are able to understand these repeated queries and process data rapidly and proactively. Insights engines can be personalized too. However, there is strong need for fine tuning these AI tools in order to handle tougher and specific questions that often emerge in a workplace. Going forward, enhancements to text analytics and NLP tools are expected to pave newer ways. 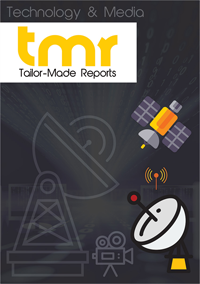 This business intelligence report on the global insights engines market has been compiled using proven research methodologies and targets technology providers. The report also provides insights into the potential of demand that will be forthcoming from various countries and regions, as well as profiles some of the prominent players in its featured chapter on the competitive landscape. Information at fingertips is of great essence for organizations. For instance, readily available information can help in training new joiners and fetching updates from a coworker at remote or approachable location. Simply put – it can act a personal assistant for every employee. And how about not at the fingertips but a voice command. That is what insight engines are for – a Natural Language Processing (NLP) computer program that can act as a question answering tool. Small and medium businesses (SMBs) and even large enterprises are now increasingly using chatbots and digital assistants such as Siri, Alexa, and Google Home, which functions an artificial intelligence (AI) component and can even expand to providing business intelligence and analytics! As per the findings of this market research study, the demand for insight engines is on an exuberant ride and oozes from high profitability, if done correctly. A number of factors are poised to excel the market for insight engines, but none bigger than the constant need for the organizations to sustain a strong and strategic risk management protocol. Data security is now paramount with frequent incidences of breaches and hence, regulations and compliance deadlines are constantly evolving for the business enterprises. There has always been a need for advanced search for information at a workplace and insight engines are primed to fulfil the voids in the near future. On the other hand, data quality and data source validation, privacy concerns, and the lack of trained personnel are some of the restraints curtailing the progress of the insights engines market. Nevertheless, growing significance of AI technologies for data collection and increasing need for predictive insights for businesses to take calculated decisions are expected to open new opportunities in this market. There can be a few types of insight engines depending on what information they provide, such as descriptive, prescriptive, and predictive. Based on component, the insight engines market can be segmented into professional services, managed services, tools, consulting, deployment and integration, and support and maintenance. Application-wise, the market can be bifurcated into operations management, workforce management, customer experience management, risk and compliance management, sales and marketing optimization, network efficiency management, and business process and product management. Deployment mode can be on premise or on cloud. The industry verticals that can be end users of insights engines market are BFSI, retail and ecommerce, healthcare, manufacturing, IT and telecom, and media and entertainment. The analyst of the report has also estimated the potential of demand that will be coming from every important region and country including the U.S. and Canada in North America, India and China in Asia Pacific, and Germany, France, and Russia in Europe. IBM, Microsoft, Oracle, Coveo, Sinequa, Celonis, IntraFind, Insight Engines, Expert System, BA Insight, Comintelli, and ActiveViam. The report profiles quite a few of these leading companies, showcasing their business overview, recent strategic decisions, product portfolio, geographical presence, and market strength in terms of shares.